The Ohio Historic Preservation Office thinks they might be. +What could that mean for property values within these Dayton communities? +Does this mirror an interest in Mid Century Modern homes across the country? +What do Dayton’s MCM homes offer that historic or newer homes don’t? +Is there a demographic in the Dayton area for these homes? I’m a Realtor in Dayton who has watched the growing interest in MCM for the past 4 years. While this trend has been explosive in cities like Austin, Las Vegas, Phoenix, and even Indianapolis, it’s still something people giggle at in Dayton, but as an outspoken fan of the MCM home, I know the interest in all things Mid Century Modern in the MIami Valley is growing. Other residents who share my interest contact me through my website TheBrickRanch.com precisely to connect to someone else who shares their passion for the clean lines and flexible living that MCM ranch homes can provide. They are young, hip, and respond emotionally to a “Jetson” house, while a McMansion leaves them cold, and a historic home might be too much house work. 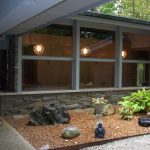 They are looking for something easier to care for, something with open space and a connection to patio living and the outside. Austin TX has a well-documented community of Mid Century Modern neighborhoods that went from boring to hip, with the accompanying increase in market values. In Phoenix, a tiny neighborhood of neglected brick ranch homes is now one of the most desired locations in the city. There are great buys in Dayton for MCM homes, custom built, unique floor plans, and quality construction that you’d find in an older home. You can find some particularly stunning examples in Dayton, Washington Twp, and Kettering. Want to find out more about the MCM homes in the Dayton area?  Call Dayton real estate agent Theresa Lussier, THE HOME GROUP REALTY, 937-478-7781.